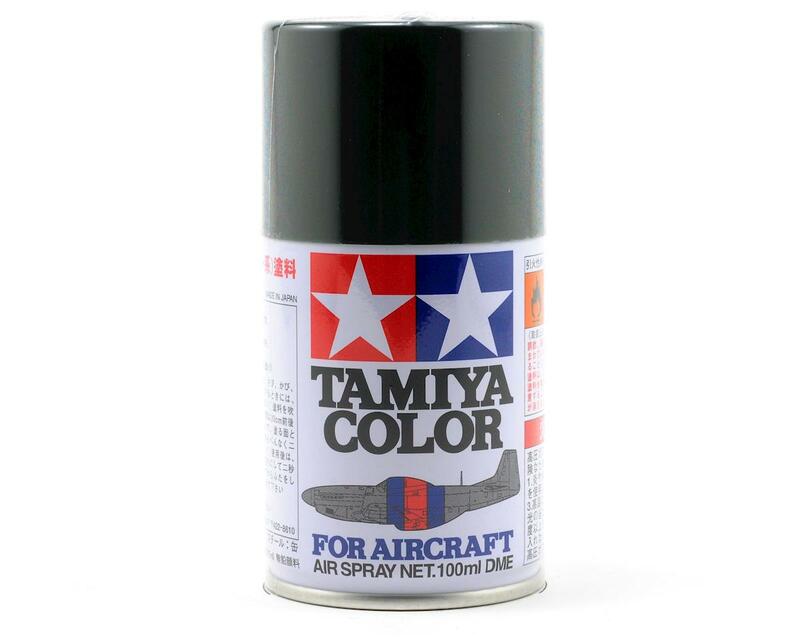 This is a 3oz can of dark green (German Air) Tamiya Aircraft Spray. These spray paints are specially developed for finishing aircraft models. Each color is formulated to provide the authentic tone to 1/32 and 1/48 scale model aircraft. now, the subtle shades can be easily obtained on your models by simple spraying. Each can contains 100ml of synthetic lacquer paint.